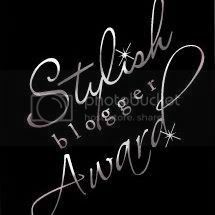 A couple of days ago i got a Stylish Blogger Award from Ellen (thank you Ellen) and i need to write 10 things about myself and give the Stylish award to someone else who i think deserves it. 2: I am such a nerd, i don't mean that in a bad way...but i really see myself as a nerd! 3: I wish i was younger with the knowledge i have now. 5: My mom and i are best friend, we know everything about each other. 6: When people say "wow, you must be mother and daughter, because you look pretty much the same"
I enjoy that. I honestly hope that i will look like my mother when i get older. 7: I have so many different style's of clothing, i change it every now and then. 8: I have a thing for shoes, bags and accessories. 10: My mom and i are huge fans of Chanel and Dior. I clicked the Previous banners tab but there's only your last one :( Could you put them again? They are lovely!